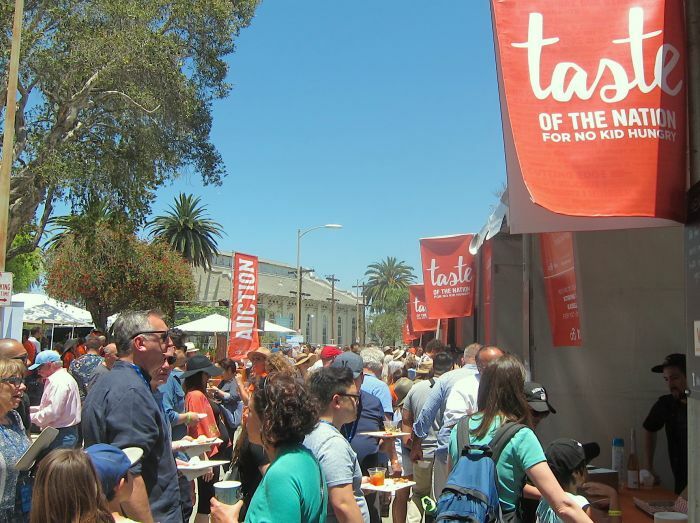 Sample the City at "Taste of the Nation, Los Angeles"
The LA food scene can be as daunting as it is diverse. It’s hard to keep track of all the top restaurants in Los Angeles, let alone try them all. 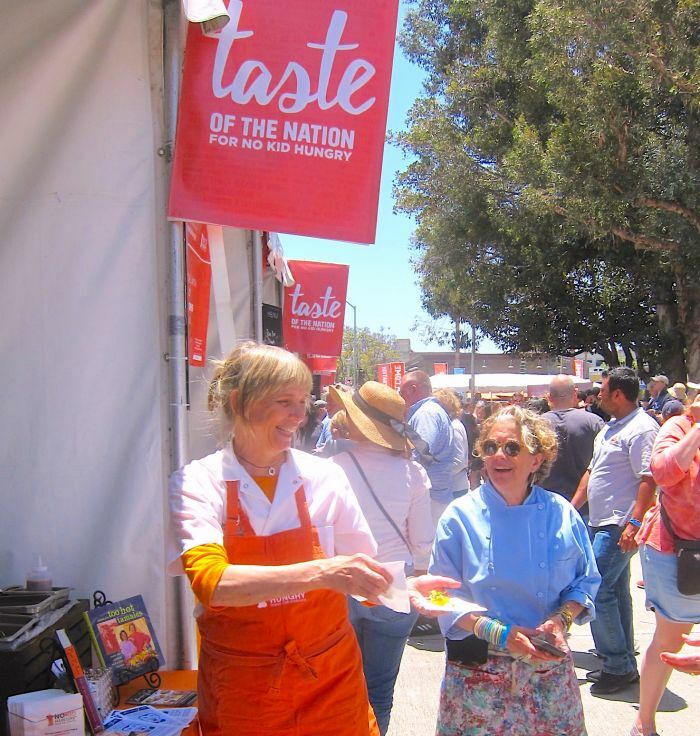 One of the most efficient ways to sample some of the best Los Angeles has to offer is to plan on attending the Taste of the Nation event that takes place each June in Culver City’s Media Park. 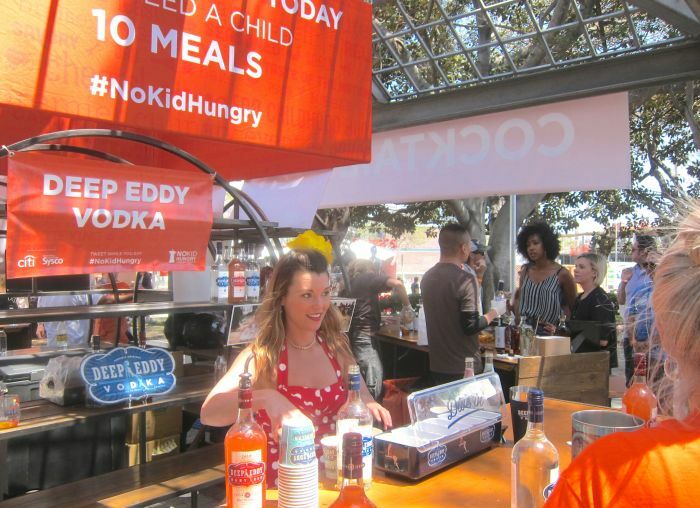 At this event, not only will you be supporting “Share our Strength’s, No Kid Hungry” campaign, you’ll be tasting gourmet food and beverages prepared by top chefs, sommeliers and mixologists. 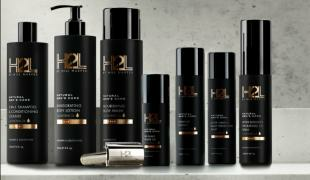 One-hundred-percent of the proceeds goes to this effort to end childhood hunger. In 2017 alone, the Los Angeles chapter connected hungry kids to 1 million healthy meals. Each participating chef and restaurateur takes pride in serving one of their signature creations, while a wide selection of drinks enhances the culinary experience. Live music and a generous silent auction rounded out the program. What a great way to nibble your way across LA to decide where to eat next in a city bursting with great bites. 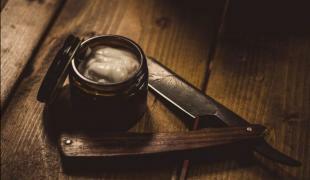 The VIP tickets provide early access, not only the food and drink but to the chef’s themselves who are only too happy to discuss their creations. 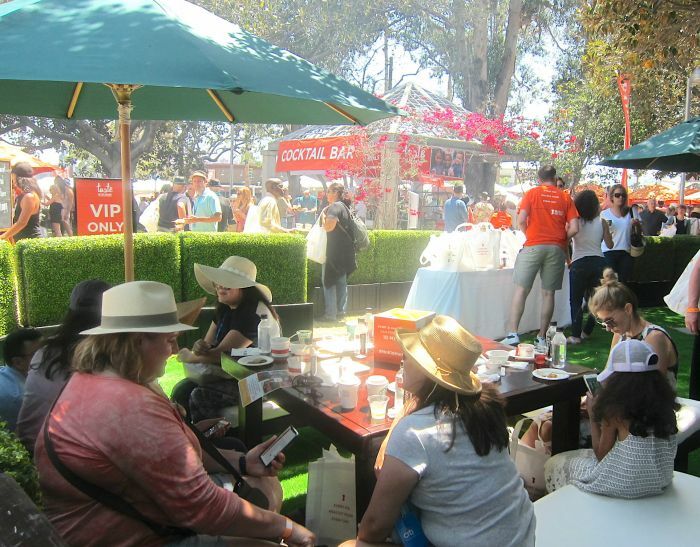 This extra VIP ticket is well worth the price for any gourmet who follows the culinary scene and wants to chat with the top names in town. This year award-winning chefs and restaurateurs Mary Sue Milliken and Susan Feniger of Border Grill fame offered warm welcomes and Arepas Stuffed with Cacique Cheeses, Avocado, Tomatillo and Corn Relish Salad. 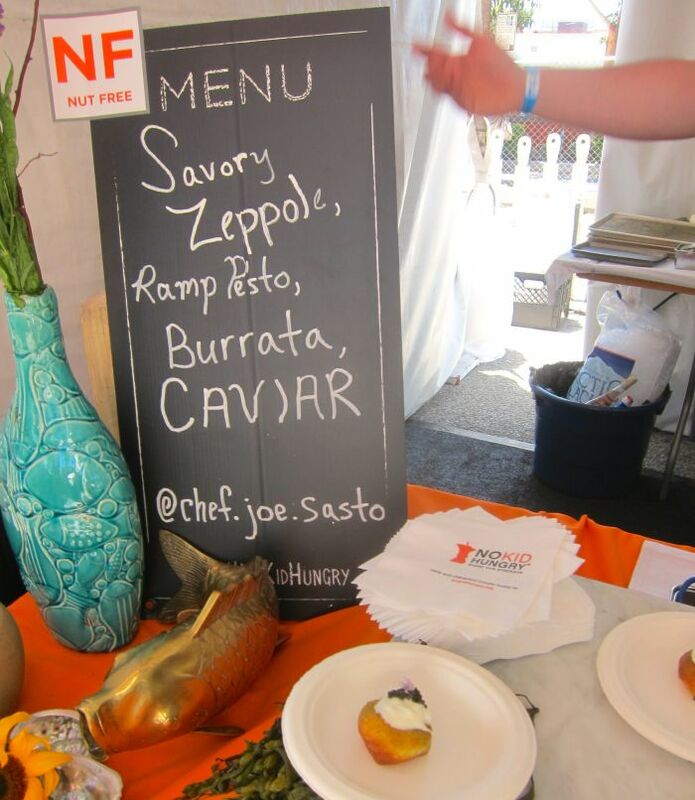 Joe Sasto, Top Chef contestant and Executive chef of Cal Mare wowed the crowd with a savory Zeppole, (a warm Italian donut,) Dotted with Ramp Pesto, Burrata and Caviar. 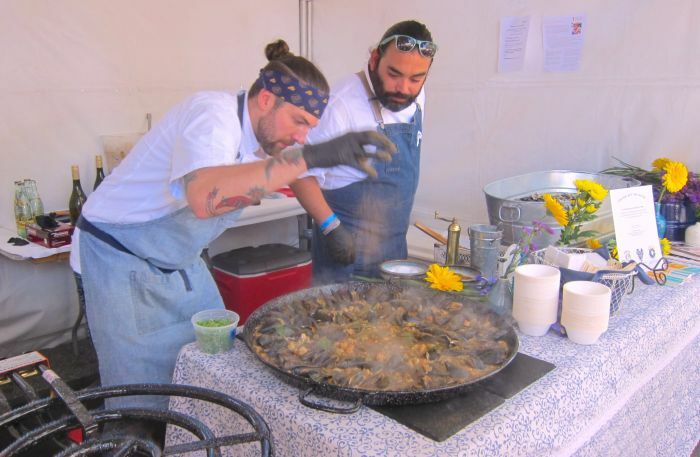 Sammy Monsour of Preux & Proper stirred up a Paella Pan of Seafood and Okra Gumbo with Gulf Rock Shrimp, Mussels, Oysters and Louisiana Crawfish, and we got to serve ourselves. There was a beverage for every age and every preference with an entire area dedicated to the art of the cocktail. Local brews, boutique wines and water were strategically placed at just the right spots to quench thirst and compliment the fare. Among the desserts, the Raspberry Sundae by McConnell’s fine ice cream put a cherry on this foodie feast. Make plans now to make Taste of the Nation LA part of your culinary calendar.